I have big, no HUGE news guys! After months of deliberations, and going back and forth on the idea, I have launched my Etsy shop! 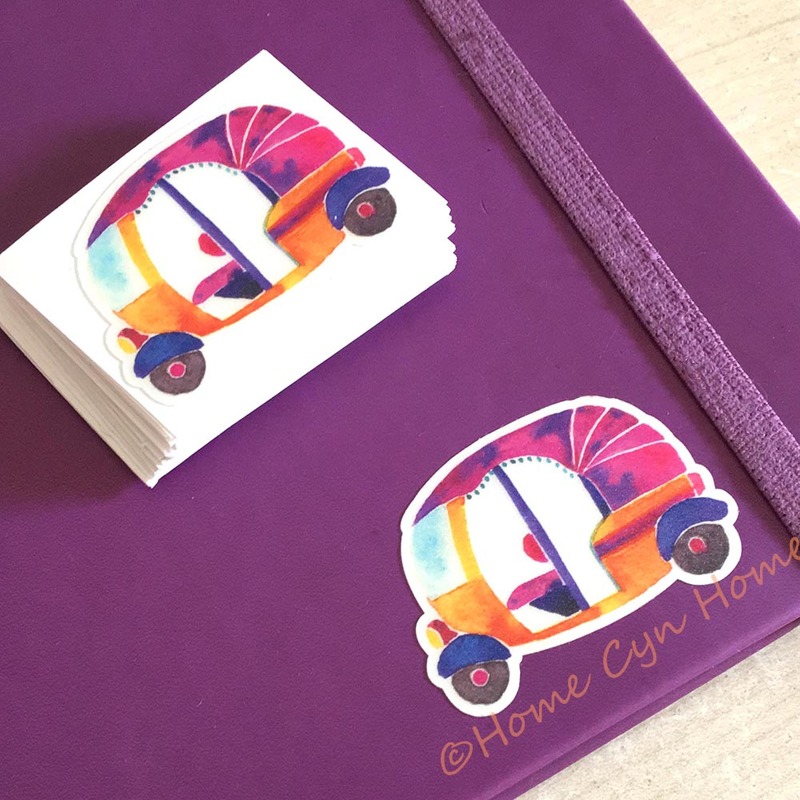 Like the blog, it is named Home Cyn Home, because I am serious about turning it into a colorful art, design and decor brand. Once upon a time, I thought of selling painting on canvas, but keeping an inventory in my home would have taken space, and the packing and shipping of painting is something I am not ready to put too much money into at this point (not saying I'll never do it though). 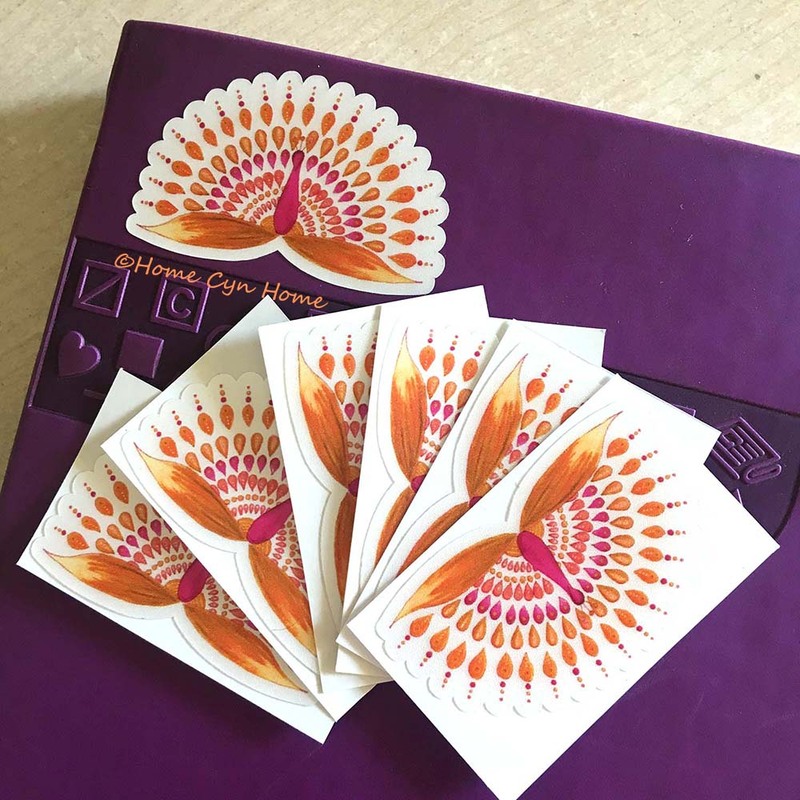 Looking at the trends on my blog, and in both my Society6 and Redbubble shops I noticed that the thing that get people the most excited are my stickers and bullet journalling essentials. My past few months of Amazon Affiliate sales are pretty much all about the MatrikaS dotted grid notebook I blogged about a few months ago. I also know that many of you who are based in India fear ordering from my Society6 shop because of the international shipping, and having no guarantee of delivery. I have ordered from my own shop twice, the shipping is fast and prompt, but yeah, the pices can be a bit steep on some items. This has led me to start figuring out if I could not print some of those here in India, and ship them myself. Ok, ok I hear some of you already! Why not open a shop of my own and price everything in rupees? That is quite simple really, I'm not a big player enough to bear the cost, and all the GST registration and multiple tax return filings that goes with having a GST number. Not to mention the big investment of getting a e-shopping site up and running, getting a payment gateway, and all the back end work. I'll get there one day, but right now it would probably incur a deficit rather than a profit, and I am not ready to fork that expense. Etsy is a simple and elegant solution to that problem, they charge me a listing fee, take a portion of my sales, and all I have to do it upload items in my shop and manage the promoting and shipping myself (which is already quite a lot). All the items in my shop will ship FREE of cost to India, and to make up for the USD prices I'll ship domestically via Speed Post. I also offer international shipping at a fee via regular airmail. 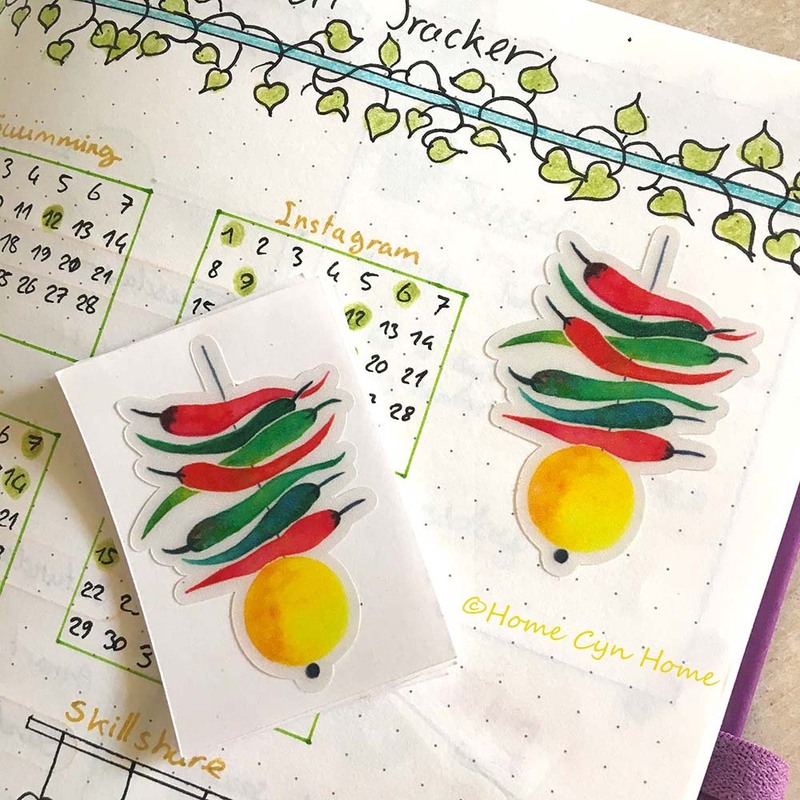 For now, I have only stickers, because not only do they take very little inventory space in my home, and are super easy to ship in an envelope, and they are after all one of my most popular item in my other 2 shops. 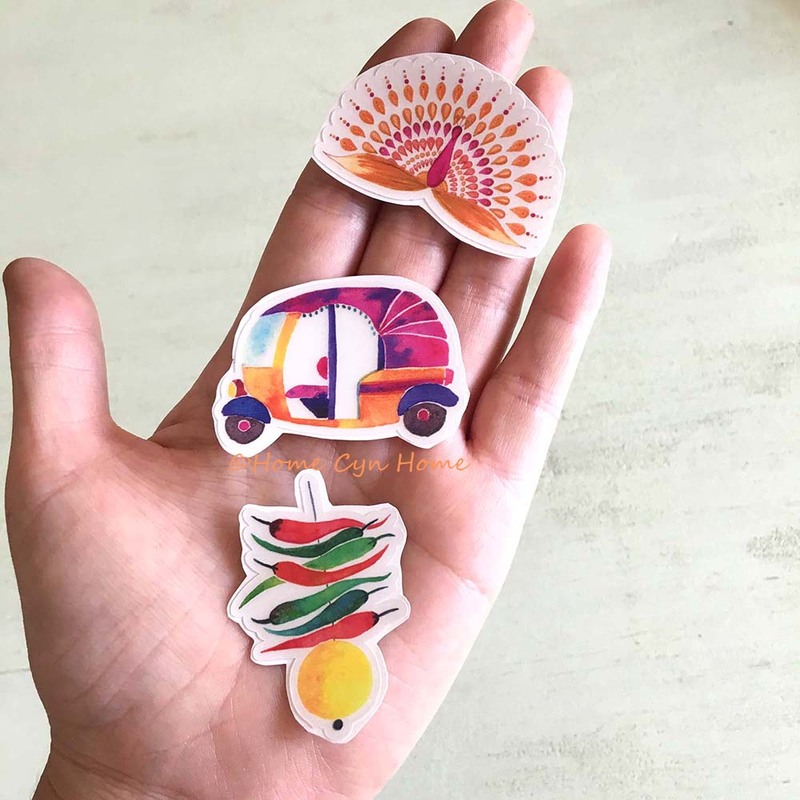 I am starting with 3 designs : My colorful auto-rickshaw, a Nimboo Mirchi Totka, and my mandala peacock in orange. 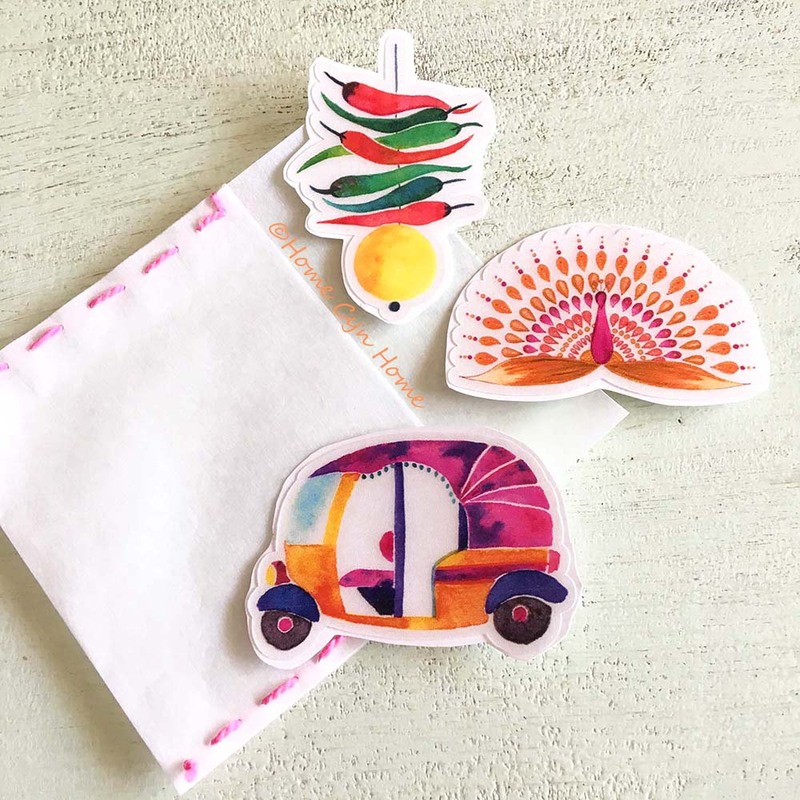 The rickshaw was a no brainer as it is one of my bestsellers and the artwork most of my friends LOVE, so I decided to pair it with two other India inspired artwork so that I could have the option of selling them as a set as well as individually. I will gradually increase the number of designs available as stickers, my reasoning for going it slow is that I refuse to put myself into debt for that venture. So I use the money I actually earn from my sales and art class teaching to purchase my inventory...heck everything that has to do with my art and design business. This means I'll go for a few extra designs a month and I already have people requesting my elephants. In the future I will also expend the range of printed products I offer too, I'm currently thinking post cards and greeting cards. And because I have a LOT of artwork I can use, I'll focus on these first. I'm looking through all the things I have created over the past two years and choosing the ones I want the most associated with the brand I wish to create. On Print on Demand platforms, where it matters to have a lot of designs in your portfolio, I go ahead and upload things that while still fun aren't really necessarily my best work. With my own shop and keeping my own inventory, I am going to be a lot more choosy about what I want to be identified to my name and brand. And so far, what people tend to associate the most with me as an artist is my high in color watercolor illustrations that cleverly use negative space in the design. I am also selling these stickers direct to customer in my neighbourhood, and I already made quite a few sales at the face to face price and I am seeing a very good response to it already.